Thank you for visiting this website. 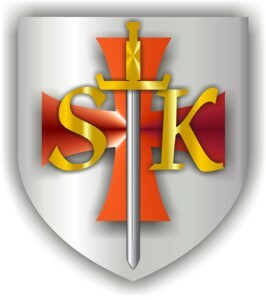 Your interest in SILENT KNIGHT has probably been inspired by a friend or acquaintance that has read the book or is participating in this program of service; however, if you find yourself here and unfamiliar with this story, please take advantage of the information provided; we would love to include you in the growing numbers of SILENT KNIGHTS. SILENT KNIGHTs serve others directly, anonymously, decide how much to give, how to meet the need, or what encouragement to send in an anonymous card. You will not get requests for more giving because you are anonymous. You will not create dependency because there is no expectation of more. What you will do is send an undeniable message that someone cares. This SILENT KNIGHT website gives you an introduction to a book that can change your life and improve the lives of others in your community through anonymous acts of charity. The book has inspired charity in twenty eight nations that we are aware of. It has been adopted by two chivalric orders of knighthood to provide their members a challenge of service in their daily lives. Please also read the manual of conduct for domestic participation (US National) or the International participation version that applies to your personal situation. The SILENT KNIGHT program described in the book can be performed as an individual or as a group. Individuals decide when, who to aide, and how much to give. SILENT KNIGHT groups normally meet once a month, nominate charitable acts in their community and take up a �blind� collection (donations that only the individual giving knows how much) to meet the specific needs nominated. All (100%) of the funds collected for SILENT KNIGHT go to the charitable efforts of the individual SILENT KNIGHT or the group�s nominated efforts. Best wishes and blessings to you this day. "Through the SILENT KNIGHT program, we can, in fact, make ours a better society and this planet a better world." SILENT KNIGHT is the story of one man's effort to make a difference in his community. It is a story of love, compassion, mentoring and dignity. The author weaves a delicate message of service to others with a beautiful love story that captures your heart. You will cry, laugh and wonder at the simplicity and beauty of the SILENT KNIGHT. It is a story for all ages. SILENT KNIGHT is the first book in a trilogy centered on the life and legacy of Sir Donald Wilhelm Peterson, a fictitious retired Army colonel and Knight Templar. SILENT KNIGHT is a mixture of fact and fiction... the charity is real and many elements of the story have been derived from the author's experiences and persons he has known. Perhaps you can become a SILENT KNIGHT. If you have the desire, passion, caring soul, respect and dignity of character represented by this story, you too can make a difference. Read this book and ask yourself, "WHY NOT?" Manuals in Adobe Portable Document Format (PDF). In Honor of all the SILENT KNIGHTS across the many lands of man. Chivalry did not die with the good knights of old, For among us today walks those new Knights, with hearts of hidden gold. Armor clad they need not be, nor, many does one ever see, but their presence across all the lands of man will be known through their noble but humble acts and charitable deeds. History may have dealt them a near fatal blow, but from just a surviving few, grew a revival of their honored Order, into a new world of the neediest of mankind. Now these Brothers and Sisters of the cross of Christ, seek to carry upon their shoulders the new burden of His cross and that of the neediest of His Lands. They seek not accolades for their good deeds, finding solace in the knowledge of their sacrifice and a job well done, glorifies only the Lords name. Seek not these SILENT KNIGHTS of the Lords cross to stand out from the common man, for each day these Knights walk among you, seeking those to help have a better day. Through sometimes but a single act or deed, they help one and often many in need, Their sacrifice to help the Lords many is their chosen chivalrous way. They are the SILENT KNIGHTS of Christ and you may, when in need one day you may hear one say, In but our Lord's name alone be given the glory of our intervention on this His and your most glorious day. Chev. Raymond L.Morehead KTJ, FSA Scot. Now available online through our secure shopping cart system!